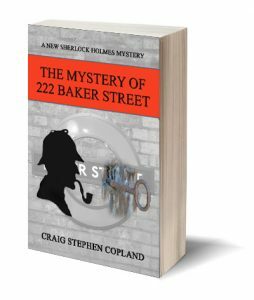 On the day after Queen Victoria died, the body of a Scotland Yard inspector is found in a locked room in 222 Baker Street, right across the road from the home of Sherlock Holmes. There is no clue as to how he died, but for certain, he was murdered. Then another murder takes place, in the very same room. Holmes and Watson might have to offer themselves as potential victims if the culprits are to be discovered. The story is a tribute to the original Sherlock Holmes story, The Adventure of the Empty House. Click on the link, check it out, buy and enjoy.